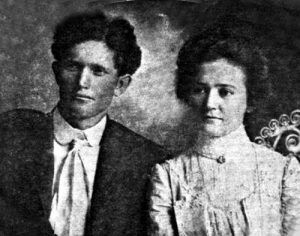 David Monticello “Bud” Ballew (1877-1922) – Though not nearly as well known as other Oklahoma lawmen, such as Heck Thomas or Bill Tilghman, Bud Ballew was just as colorful and respected as both a gunfighter and lawman. Born David Monticello Ballew, to Bryant and Mary Turban Ballew in Fannin County, Texas in 1877, Ballew inherited his father’s nickname “Bud” from an early age. When he was a young boy, he helped his father on the family ranch and became extremely adept as a horseman as well as handling firearms. While still more than a boy, Bud left the family in 1890 and made his way to the Ardmore area in Indian Territory. Three years later, his father and the rest of the family would follow him and also settle in the area. Bud started a small ranching operation and before long met a girl named Fannie Mariah Harper. The two married on April 17, 1901, and settled on his ranch at Lone Grove, Oklahoma. By 1910, Bud had a stable ranching operation and the couple had two sons. In the Spring of 1914, his ranch was running so smoothly that he began to look around for something else to do. By this time, the area was filled with oilfields and the rough characters that often worked in them. When Carter County Sheriff, Buck Garrett offered him a job as a deputy sheriff, Bud accepted. For the next 12 years, Ballew would work as a lawman, as well as continuing his ranching operation, and also speculated in oil leases. During this time, Bud was described as being 5’11” tall, stockily built, with a shock of curly red hair, and a hearty booming laugh. 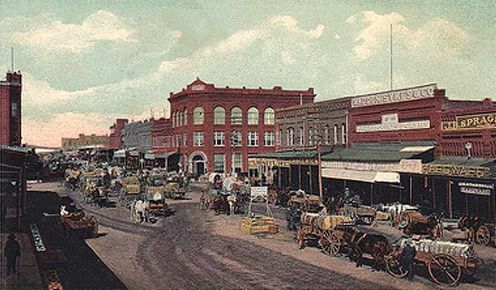 He was fond of the gambling dens and saloons, where he was often spied wearing a wide-brimmed cowboy hat, high topped cowboy boots, a pistol on each hip, and a large diamond tie-tack. His cherubic looking face and ready laughter often belied his character. He feared no man and would be credited with killing as many as eight men over the next 12 years. Ballew first made headlines on November 19, 1915, when he killed Pete Bynum who was in the middle of holding up a liquor joint in Wirt, Oklahoma. Catching Bynum in the act, Bud intervened, and Bynum shot him in the stomach. Ballew returned fire, and not only killed Bynum, but also a man named Alison, who was unlucky enough to be sleeping in an adjoining room. Though the bleeding was no doubt, profuse, Ballew’s wound was not serious. After Ballew had fully recovered, he was sent to arrest a wanted outlaw named Steve Talkington. However, when Talkington resisted arrest, Ballew shot and killed him. He was then sent to retrieve the commission from City Marshal Highnote of Wirt. However, Highnote had been fired and refused to vacate his position or hand over the reward. As a result, Ballew killed him too. The next killing occurred when Deputy Ballew, along with fellow officer, Fred Williams were escorting a prisoner, a black man named James Perle on a train. Unfortunately, when the prisoner jumped from the train in an attempt to escape, both officers fired, and he was killed. In another incident, Ballew and a fellow officer were involved in a shooting with a man named Arch Campbell in an Ardmore barber shop. On another occasion, Ballew saved Buck Garrett’s life when the Sheriff was trying to apprehend two highwaymen who had robbed a man named Jim Taliafero. As the bandits, Charlie Thomas and Arthur “Dusty” Miller, were fleeing east of Ardmore, Garrett overtook the pair and a fight ensued between Thomas and Garrett. As Dusty Mills circled the two men, trying to get a clean shot at the sheriff, Bud arrived. Mills whirled on him, but a fraction of a second too late, as Bud shot first and the outlaw fell victim to his .45. 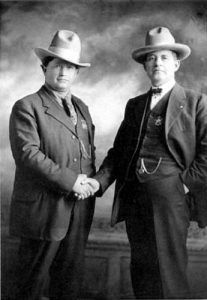 Ballew’s most famous gunfight was with former U.S. Deputy Marshal Dow Braziel on January 31, 1919. The two apparently had a long-standing feud because Buck and Bud Ballew had not enforced the Prohibition laws as aggressively as Dow Braziel. Very early in the morning, Ardmore Chief of Police Les Segler met up with Bud Ballew in the east part of the city, where gunshots had been heard. After talking for a time, the two headed to the California Cafe, at the corner of Main and Mill Streets for breakfast. As the pair entered the cafe, they noticed Dow Braziel standing on the east side of the room. Before they knew it, Braziel fired two shots at Bud Ballew. The deputy immediately returned fire, emptying his pistol and hitting Braziel six times, leaving Braziel dead on the floor. Bud was then arrested by the Police Chief, taken to the police station, and later transferred to the county jail. However, Chief Segler made a formal statement as to the facts and Bud was released. Though there were numerous headlines during Ballew’s career, it would be the Clara Smith case that would popularize both Buck Garrett and Bud Ballew across the country. On November 21, 1920, Ardmore oil king and potential political power, Jake L. Hamon, stumbled into Hardy Sanitarium with a gunshot wound. The prominent oil king claimed he had been cleaning a gun when it went off. He died six days later. Despite the fact that the incident had occurred in a very small town north of the Red River, it gained national attention because Hamon was not only a rich oilman but also a Republican National committeeman and was slated for a post in President Warren Harding’s cabinet. Regardless of the statement made by Hamon before he died, his secretary and lover, Clara Smith quickly became a murder suspect. It was alleged from the beginning that she had fired the fatal shot to protect herself from his brutality. However, others said that she shot him because he was going to break off their scandalous love affair. In any case, she was tried for murder in March 1921. 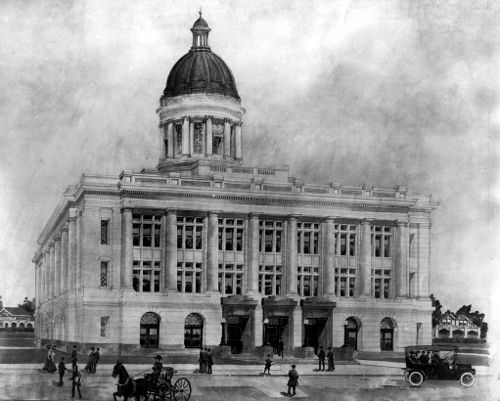 After seven days of testimony, the verdict was given to the Jury on March 17th. After only 39 minutes of deliberation, the jury filed into the court and handed a verdict of not guilty. Though the trial itself was big news, the reporters made just as big news out of Sheriff Buck Garrett and his Deputy Bud Ballew. Feeling as if they had been transported back into the days of the Wild West, they wrote many a story about the two lawmen, which were published throughout the world. This did not prove well for Deputy Bud Ballew. Although he had long been respected and feared as a lawman, he was far from being heralded by the locals as a hero. Unfortunately, he had a habit of frequently making drunken rides through town, yelling and shooting off his gun. Though no one was ever hurt during this escapades, citizens had grown tired of them, especially in light of the fact that he was supposed to be holding up the law. Unfortunately, the notoriety he earned from the newspaper articles seemed to make him work hard to live up to the Wild West image, and his obnoxious drunken rides increased. But, his lawman days were almost over. In early 1922, an investigation was begun against Carter County and Ardmore officials for a number of charges. 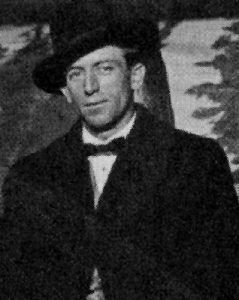 On February 17, 1922, Buck Garrett was ousted from his office for non-enforcement of the laws and unlawfully releasing prisoners. In support of the sheriff, all of his deputies, including Bud Ballew, resigned that very day. The scandal rocked the city and the county. Three days later, a fistfight broke out at the Carter County Courthouse, which escalated into a shooting spree between three of Garrett’s ex-deputies, and two newly appointed officers. When the smoke cleared, no one had been killed, but Bud Ballew had taken a shot in his thigh. By the first week of May 1922, Bud had mostly recovered from his leg wound and he and his 18-year-old son went to Wichita Falls, Texas to attend a rodeo. On May 4th, Captain Tom Hickman of the Texas Rangers informed Wichita Falls Chief of Police, J.W. McCormick that Ballew was in town, drinking, armed, and raising hell. The next day, Ballew was continuing his drunken antics and in the afternoon, the police were called to quell a disturbance at the Denver Domino Parlor. McCormick, along with another officer, arrived at the domino parlor at about 1:30 p.m., where they found Ballew standing at the bar. The two officers approached Ballew, flanking him on each side, and advised him he was under arrest for disturbing the peace. The former deputy responded by saying, “You’re out of luck,” and when he reached to his side, McCormick fired five shots into him. Ballew was dead before he hit the floor. Chief McCormick was arrested by a Texas Ranger captain, but, soon made bond and was never prosecuted for the killing. Immediately afterward, his body was taken to an undertaker and embalmed. In an unusual move for the day, his remains were flown back to Ardmore where mourners, including ex-sheriff Garrett, Bud’s wife, Fannie; and his son, Dorris, greeted the plane. His body was then taken to Dr. Herbert Harvey, who made an examination. His results led to several questions including the fact that the shots were made from the back, and at least one came from a different caliber pistol than Chief McCormick’s. Buck Garrett then made the statement: “Bud Ballew was murdered. Five shots and all from the back — he didn’t have a chance.” Soon, articles like “Noted Killer Of Ardmore Slain By Ex-Ranger,” which appeared in the May 6, 1922 issue of the Houston Post, added fuel to the fires of controversy. To this day, questions still exist about Ballew’s death. Upon the deputy’s death, it was widely reported in newspapers, from the previous “fame” he had achieved. Even the New York Times, ran an article. David Monticello “Bud” Ballew is buried in the Lone Grove Cemetery, just outside of Ardmore, Oklahoma.